Congressman Richard E. Neal, Mayor Domenic J. Sarno, Patrick J. Sullivan, Executive Director of Parks, Building and Recreation Management and the Springfield Park Commission announce major funding to renovate Ruth Elizabeth Park, located between Hancock and Walnut Streets. Funding for the renovations is made possible by a $200,000.00 grant from the Land and Water Conservation Fund (LWCF) and $250,000.00 from a Community Development Block Grant. The grant funding will allow the City of Springfield to create a Connector Trail between 6 urban parks - Harriet Tubman, Donna Blake, Barrows, Gerrish, Johnny Appleseed and Forest Parks. 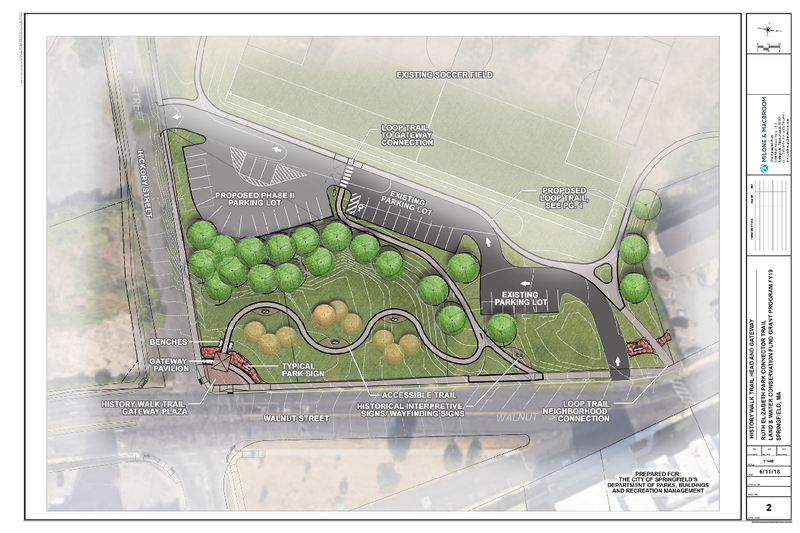 The project will greatly enhance the Ruth Elizabeth Park with improved infrastructure such an enhanced ADA accessible and universal access park entrance and interior walking path, walking trail improvements, and trailhead amenities, such as trail signage and wayfinding to connect these area parks. The project will include detailing the history of this area of Springfield along an open space urban trail that connects these parks using mapping and street signs. The project will be funded by the LWCF grant award of $200,000 and an additional $250,000 from Community Development Block Grant funding for a total project cost of $450,000. Design development will begin in February and the project will be bid for a construction start of July 1, 2019. The anticipated completion date is June 1, 2020. “This federal grant from the National Park Service is helping to fund a very significant recreational project in the City of Springfield. When completed, the renovations to Ruth Elizabeth Park will help improve a vibrant urban open space that the residents of the Maple High/Six Corners neighborhoods. The investment in the public park system is known as ‘green infrastructure’ and it greatly improves the quality of life for the citizens of our community. I congratulate Mayor Sarno and his team for their leadership on this important local project,” said Congressman Richard E. Neal. “We are very excited for this project to move forward. We have worked with the residents of the Maple High Six Corners over the past seven years in developing a master plan for this park. We appreciate the Community Development Block Grant funds administered by Cathy Buono and Congressman Neal’s efforts in restoring funding of the Federal Land and Water Conservation funds. These funds are a lifeline to urban park systems. The grant award is a tribute to everyone’s hard work and input in developing a comprehensive plan for this urban park. The soccer field/multi use field (phase one) was completed last fall and we look forward to starting phase two of the plan this summer. We will continue to search future grant resources to complete the master plan. This park offers a positive setting for recreation for all ages and is a key component in ensuring the quality of life for the residents of the City,” said Executive Director of PBRM Patrick Sullivan. 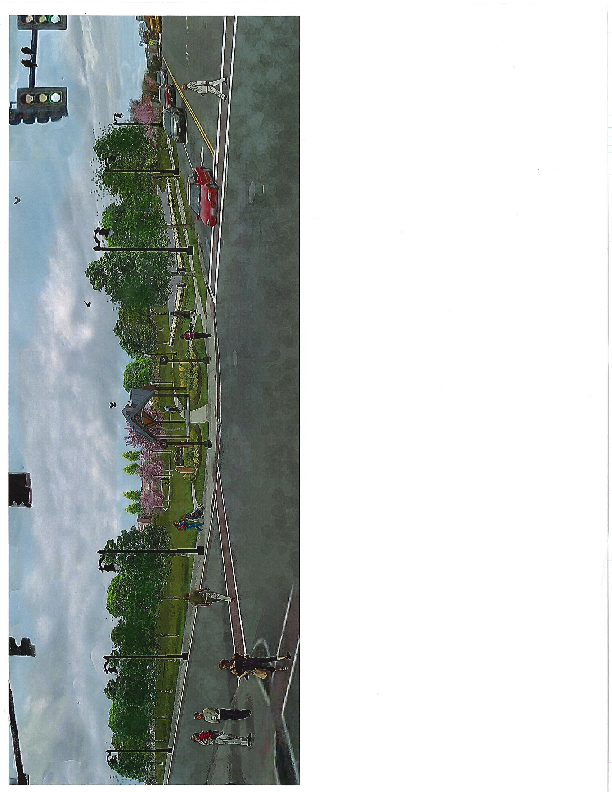 Please see the attached park renderings.